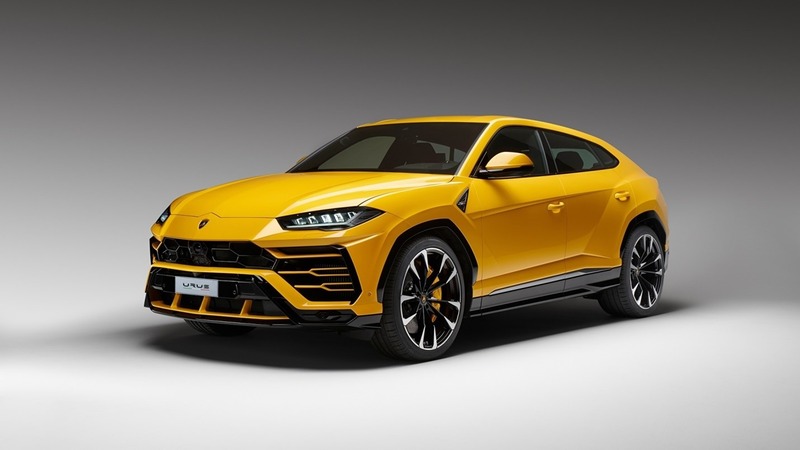 Lamborghini Urus is the world’s first sports utility car. Perfect for sports lovers. It has functionality typical for an SUV. Lamborghini Urus has given a positive impact to the crowd because of its magnificent design, driving dynamics and obviously the performance. With this car, you experience safety, strength and outstanding performance. The proportions are intelligently designed. Thus, making it a totally unique car. Lamborghini is known for its unmistakable DNA. And, this car gives you the relief. Because it has the super sports car soul. The success rate of Urus is gaining to heights due to its excellent challenging design and performance combination. So, investing with Lamborghini Urus won’t be an idea of loss. If you talk about the exterior design of the Lamborghini Urus. It is best suited for sport, elegant and off-road journey. It has a streamlined design, with a cutting edge and distinctively giving the best car. Muscular look and the mixed tires give an elegant look to the car. Apart from making the car appear as strong. All the surfaces of the car are designed in such a way that it gives full functionality to the car. There are some Lamborghini details and iconic shapes that can be immediately recognized at first sight. such as the “Y” and the hexagon elements, the front bonnet with center peak and the cross lines on the rear door. The extreme silhouette and the proper proportions make the car a perfect Lamborghini. It is the lowest SUV in the class having the unique proportions. Inspiration is one of the things that if taken properly gives you the best output. Similarly, the Urus design took inspiration from the heritage of the LM002 in respect to the power dome, showing engine position. while the frameless doors clearly remind us of the old iconic Marcello Gandini line. The exterior design has well kept in mind by the designers. And, thus able to build a Urus that is magnificent in exterior design. You can see luxurious Italian craftsmanship that meets the art of the technology. As much the exterior was designed perfectly. Similarly, the interiors have not been neglected. Instead, it is well versed built. The aeronautic design with the drive oriented instrument with 3 TFT screens focuses the overall comfort of the driver. “Y” theme dashboard design has been used that is the iconic Lamborghini design. It is the first 5 seaters super sports car. The interiors can be customized according to the need of the person. If he wants his car to be more elegant or more sporty. Customization option is available by choosing different colors and materials for the car. It is multiple car with a power of having multiple souls. What else do you need? Well equipped with the state of the art of vehicle dynamics technology. It enables the user to have a standard SUV driving dynamics segment. Urus aims to give excellent performance in any situation with excellent power to weight to power ratio. It is a complete strong, adjustable package that manifests people’s needs. 4 wheel steering, 4 wheel drive system with an immediate response along with the adaptive air suspension. Carbon ceramic brakes are present with the Mixed tires that give good efficiency to the Urus. Integrates a V8 bi-turbo engine with a maximum power output of 478 kW / 650 HP. You must know that the Urus performance level is unrivaled. The 8-gear automatic transmission, together with the permanent 4-wheel drive system with active torque vectoring, enable the driver to perform exceptionally in every situation. Urus can be enjoyed whether in the city, on the racetrack, on a snowy mountain, on gravel country roads or in the desert. The torque is directed mainly to the rear axle. Because of the sport-oriented functionality of the car. Lamborghini Urus is an all-rounder car with latest technologies which offers a high level of usability. It can be tailored according to different customers’ needs, setting up with the latest driving technology and safety systems. Urus is safe and simple to drive as it guarantees high comfort and safety for city driving and long trips. It has a line-up of stunning features, making the drive very comfy and it is in the favor of rear passengers too on the basis of comfort. Urus has three packages of ADAS (Advanced Driver Assistance Systems) which are “Full ADAS”, “Highway” and “Urban Road”. The assistance given by the car is new, innovative and intelligent and the safety system suits the preferences of individual driving. 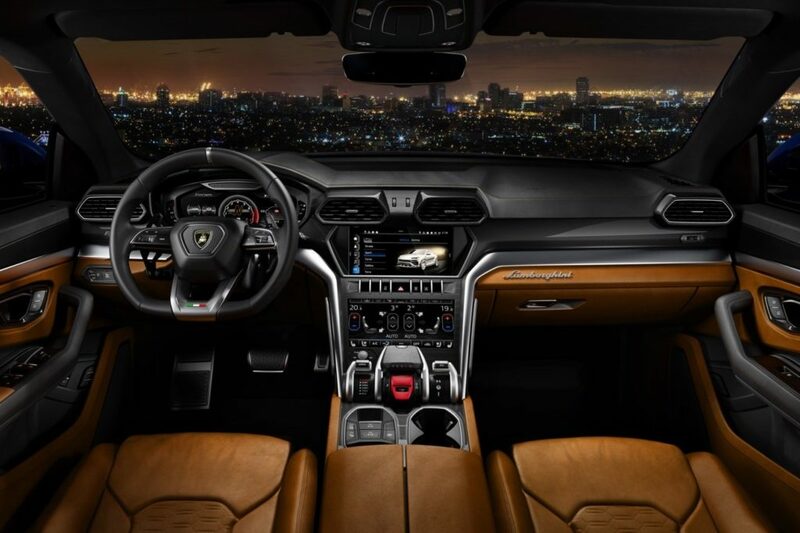 In a purpose of taking the driver’s experience to the new level, the Urus controls the system and thoroughly change its dynamic behavior which makes the car, a true Lamborghini. The top secret of this Lamborghini driving dynamics is the ANIMA Selector which is a key command to choose the wishful setup. According to the selected driving mode, the vehicle adapts itself. Urus has three on-road modes which are comfort and safety; SPORT for responsiveness, agility, and fun to drive; CORSA for precision and high performance. Urus’s three off-road modes increase its performance even more which are TERRA ensures comfort and ease in off-road conditions; SABBIA is perfect for sandy surfaces; NEVE ensures ease and safety even on slippery surfaces. And the final feature is the EGO mode, which helps the driver to redefine the dynamics of the vehicle according to the needs and preferences in suspension, traction and steering terms. The Lamborghini Urus is a luxurious and classy car which is versatile and dynamic in nature. We can even modify it according to our desire and need. It has all new and high technologies. With so many stunning features, this car became one of the top models of Lamborghini. For car lovers, this car is a total pack of for you as its awesome safety and other features make the ride pleasurable. 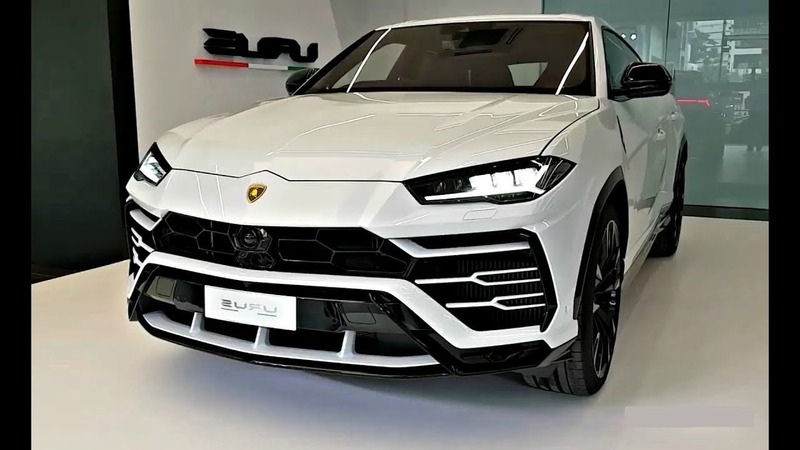 The automatic sporty car, Lamborghini Urus price is Rs. 3.00 crore.